Earlier this year, the Ole Miss Rebels came into Starkville and beat the Mississippi State Bulldogs on their home court. On Saturday, the Bulldogs got to return the favor, heading to Oxford and beating their biggest rivals 81-75. The Bulldogs improved to 16-5 overall (4-4 in SEC play) with the win, and will likely remain ranked next week. 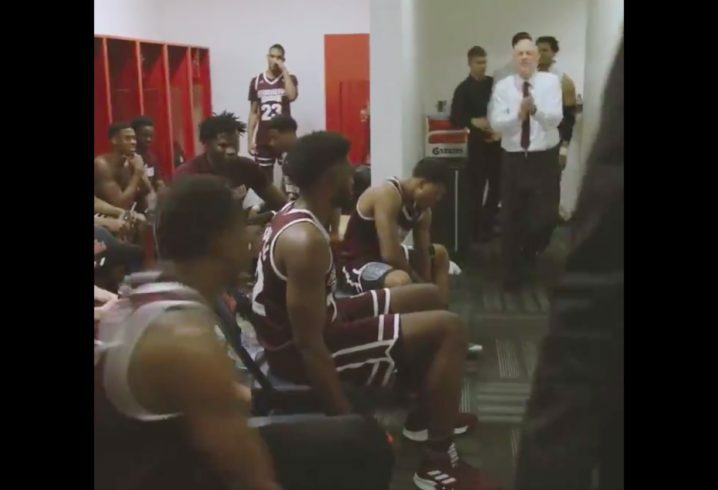 It’s not easy to win on the road in the SEC, so this was a moment the Bulldogs weren’t going to let get away without some celebration.